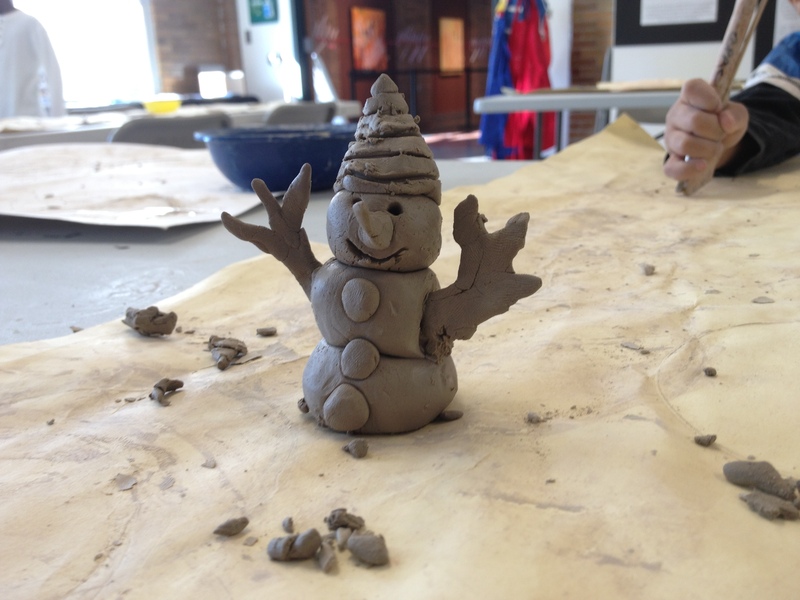 In an unusual bout of warm, sunny weather last weekend, we made clay snowmen with some kids in Arts for All. 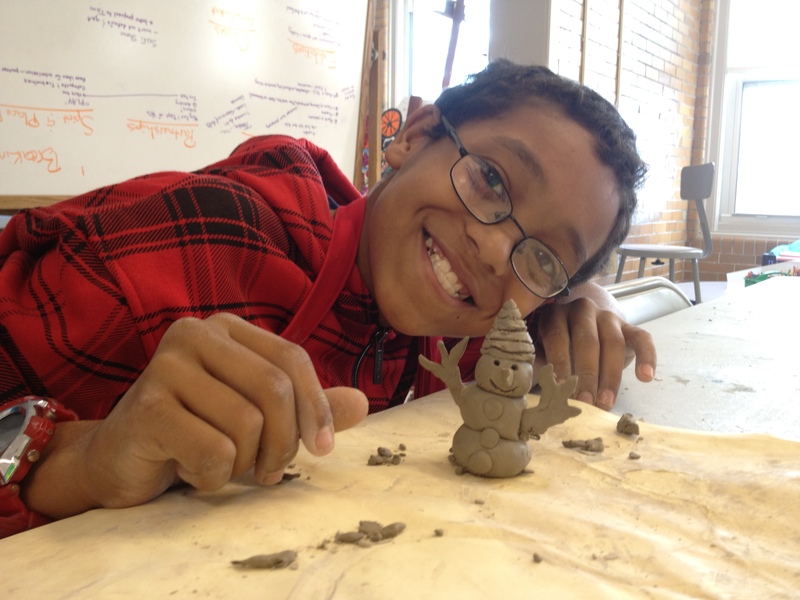 After finishing their commemorative 100 Years Clay Tiles, a group of creative kids thought it would be nice to build “claymen”. Check out their creations!